Chinese New Year parade with dragon in Downtown Los Angeles. 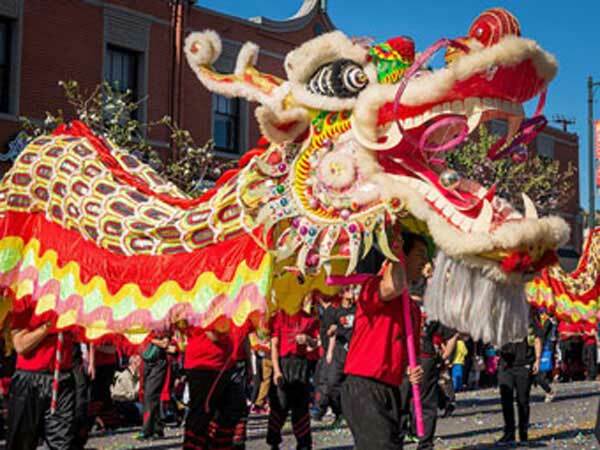 Chinese New Year for the year 2020 is celebrated/ observed on Saturday, January 25. This year the animal sign is the Rat. Saturday, January 25th is the 24 day of the 2020 calendar year with 9 months, 2 days until Chinese New Year 2020. When is Chinese New Year 2020? When is Chinese New Year 2021? When is Chinese New Year 2022?